Who’s loving February so far? I’m waking up each morning and immediately putting a smile on my face and doing everything within my power to make this month fabulous. 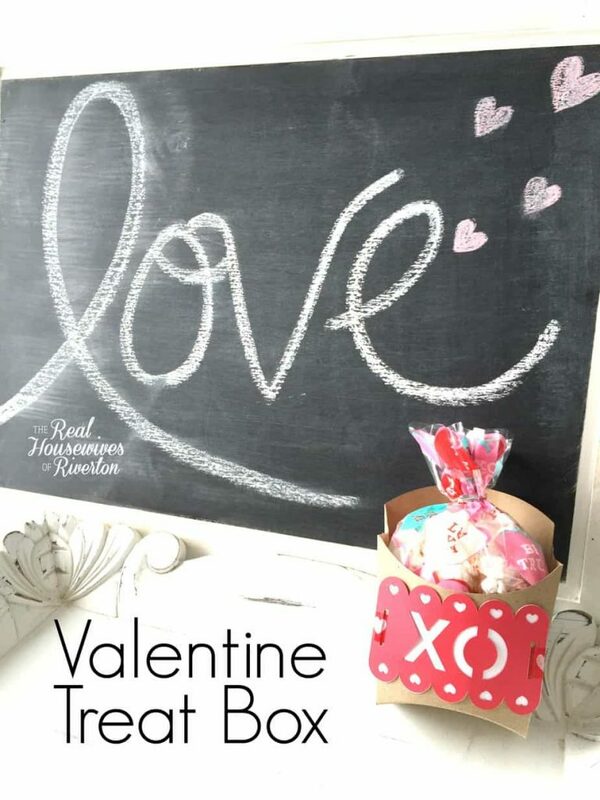 One of the first things I’ve done is to make a little something for the ones I love each day. I’m enjoying being creative and the children are enjoying the treats. I’m hoping to come up with some non-treat ideas but you know what they say about getting to the heart through the stomach :). 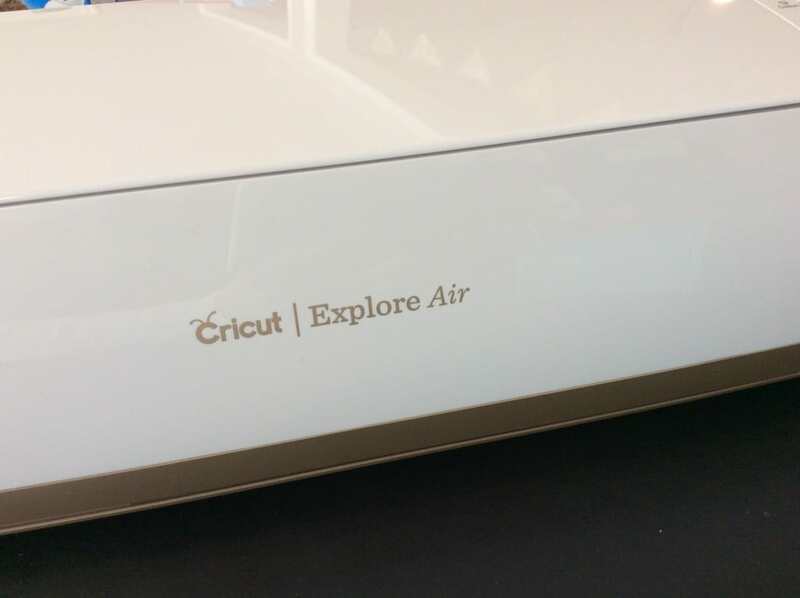 Last week I got the beautiful and excitingly wonderful White and Gold Cricut Explore Air, I spent the day after I got it ALL DAY at a Volleyball tournament and didn’t get to play with it even once so I’ve made up for it already this week. 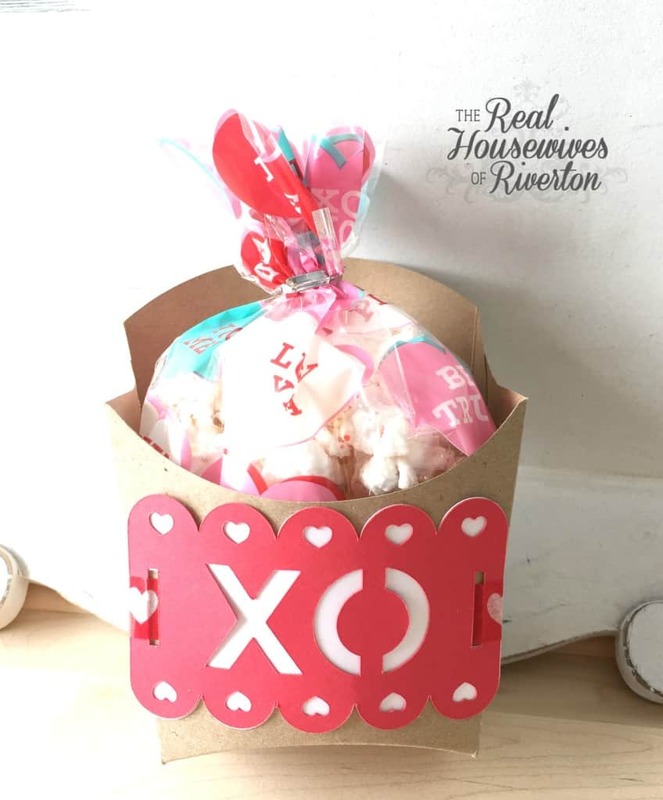 One of the very first things I did was create this cute Valentine Treat Box. OK full disclosure here, when I say create, I mean I created and added the tag. Now don’t get me wrong it is 100% doable and easy to create these french fry style boxes on the Cricut Explore I just happened to buy these ones from My Mind’s Eye back before I had this beautiful machine and thought it would be a good idea to use them. 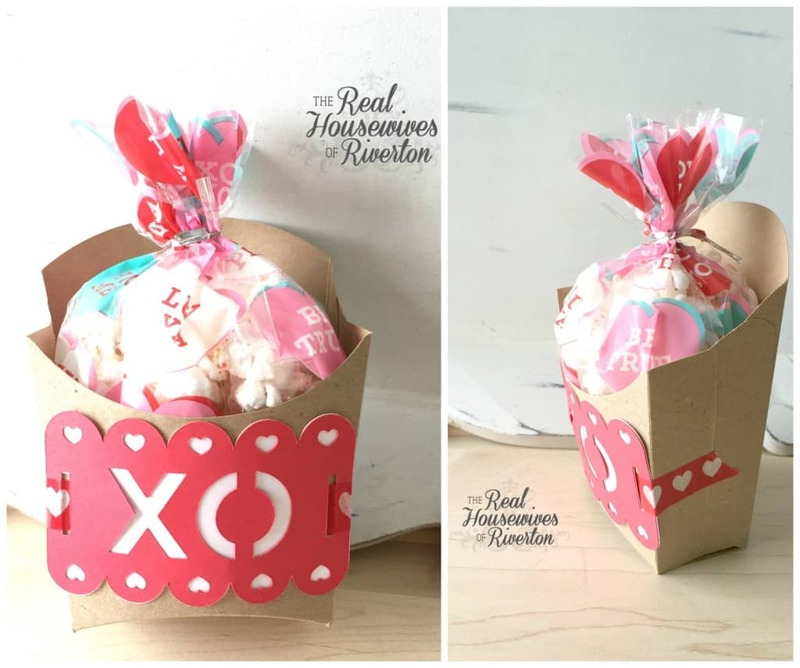 I used these craft French Fry boxes to create the Valentine Treat Box and then quickly and oh so easily cut out this XOXO label in Cricut Design Space. 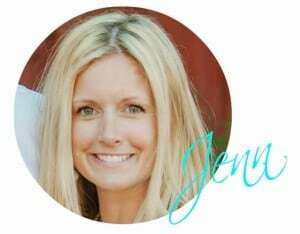 What I’m loving the most about Cricut Design Space is the amount of projects already put together, one click and the whole project is loaded and ready to cut. 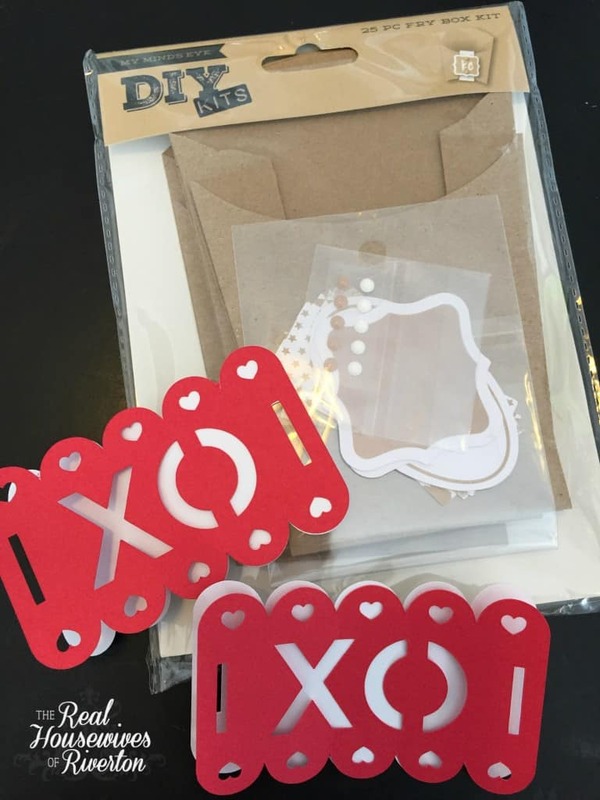 This XOXO label is one of the quickly and easily completed projects and with this cute Target Dollar Spot washi tape I was done in a flash. I can’t wait to share that popcorn recipe with you. It was a huge hit with my family and is currently my very favorite popcorn. 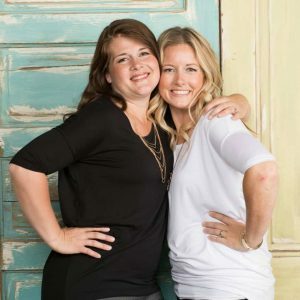 It’ll be here at HousewivesofRiverton.com on Thursday.